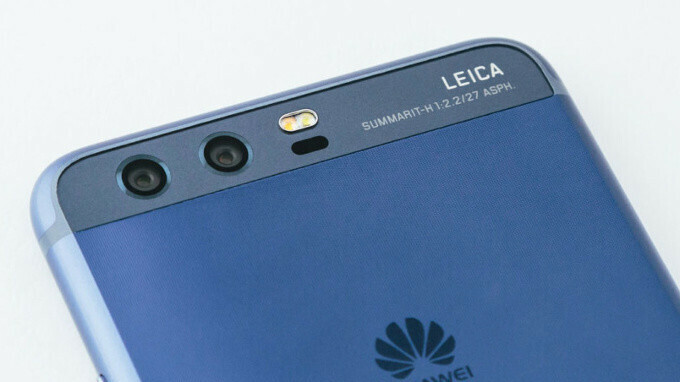 Huawei is the world's third largest phone maker and it is preparing to unveil its new flagship - the rumored Huawei P20 - soon. Today, we see leaked benchmark results of the upcoming device that reveal one key detail about it: an 18.7:9 aspect ratio display. Put simply, this is a taller screen than the regular 16:9 displays of the near past and suggests that the phone will have an edge-to-edge, "bezel-less" screen. We do not know the screen size just yet, but the screen resolution is listed at 1,080 x 2,244 pixels, or Full HD+. Other companies have adopted similar tall displays: LG uses an 18:9 aspect ratio for their LG V30, while Samsung sticks with 18.5:9, and Huawei now seems to go with an even taller 18.7:9. Keep in mind that this extra height might actually mean that the phone will have a 'notch' like the iPhone, but this is just a speculation. For all else, there is not much in terms of new information about the P20: we see the model name EML-AL00 and Android 8.0.0 Oreo on board, something that is expected for a flagship phone in early 2018. These devices are getting too tall. They need to talk to jean manufacturers and deepen pockets to allow for these devices. The Note 8 is 3/8" taller than my Note 5. The Note 8 would have been an instant buy if the device had roughly the same dimensions and they just slimmed down the top and bottom bezels. Also, I realize that there are plenty of other devices that I can go with that are much shorter than the Note 8, but my last 2 phones have been Note devices so it was a bummer to me on how tall the Note 8 was. I get that. I know it's a long shot but on the Note 9, I hope they remove the bottom bezel and use an in-screen fingerprint scanner. Most likely they will remove the bottom bezel in 2019 flagships though. See my comment below about the V30. If my Note 5 wasn't running so smoothly, I would have gone with the V30. The issue is the fact these 18:9 screen phones are coming with screen area similar to a 5.7" 16:9 but as tall as a 6" phones. On the XA2 Ultra hands-on GSMArena says the phone would need a 6.6" if it was 18:9 to have same area. The 18:9 6" inch LG V30 is less tall than any 16:9 5.5 inch device. I keep forgetting that the V30 is barely smaller in every dimension compared to my Note 5, yet has the 18:9 aspect ratio with a .3" bigger screen. The V30 is a pretty solid device. OMG yes, my main concern about tall skinny screens is will it fit in my pocket. 18.5 x 9 is already too tall and skinny looking. what's the point of 18.7 x 9? I don't hate 18 x 9 like I thought I would, but what's the obsession with the tall skinny screens? I do like the width factor of the newer devices since they are easier to hold, but I find it crazy that my Note 5 already sticks out of a pair of jeans I have and if I get something like the Note 8, it will stick out close to an inch lol. Thank you! Such a pain. It's great to have a great phone but what's the gain if you have to carry around something to be able to carry said phone since it sticks out of the pocket too much? Huh? I have the Note 8. I wear normal clothing. The only clothes I have where the phone would stick out is jeans. Jeans tend to not have deep pockets, but they don't represent all pants or clothing with pockets. When I where Khaki pants and even on my leather jacket which has zipper pockets at the top front, the phone fits evenly and it doesn't stick out. If Iift it open, sure u can see the top of the phone if you look down. But standing directly in front, I don't see the top of the phone at even level. I don't know how it is for a guy, but as a lady, this is a challenge. Jeans are one thing, but if a phone can't even fit my work pants, what is the point of me having it? I do actually have phones that currently fit most of my smaller lady pockets. I have heard some guys say that they don't like to feel like they have a massive brick in their pocket. I think it really comes down to what you choose to wear really. Huawei's P-Series phones has alwayas been very fashion centric . Waiting to see what design they introduce this time . IMHO the new form factor is a gimmick when it comes to screen sizes. If you do the math you will find out that in order to provide the same real estate as a former 6 inch 16:9 screen, a modern tall and skinny phone needs to have a 6.6 inch screen. In other words screen sizes are now much smaller than what the print on the box says.